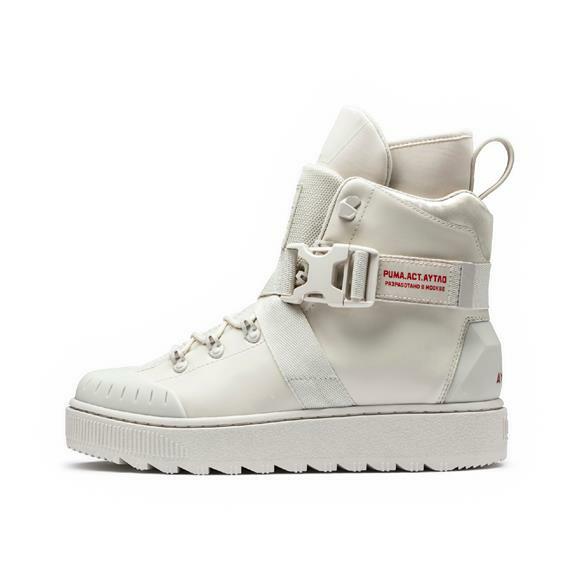 PUMA + Outlaw Moscow Release Urban Military Collection – The 2nd Edition of the AW’18 Collection Drops. 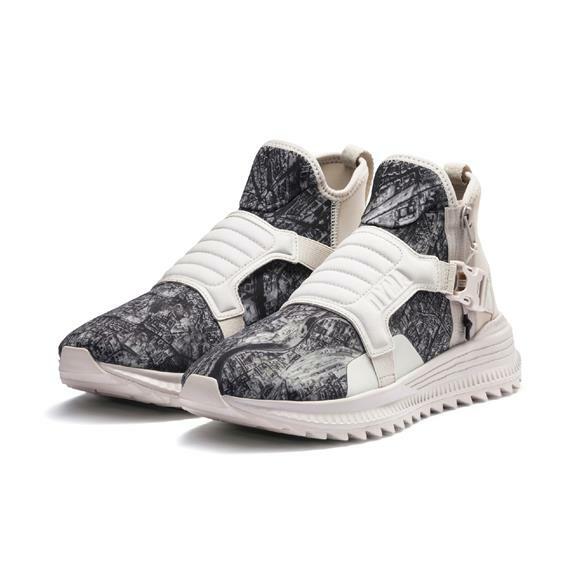 Following the successful debut in June, Global sports brand PUMA and Outlaw Moscow (a.k.a AYTΛO) are launching the second edition of their collab collection. For the winter season, Outlaw Moscow fuses urban military designs with street-inspired fashion choices. As the first collection was named Diversity, the second one is called Freedom. 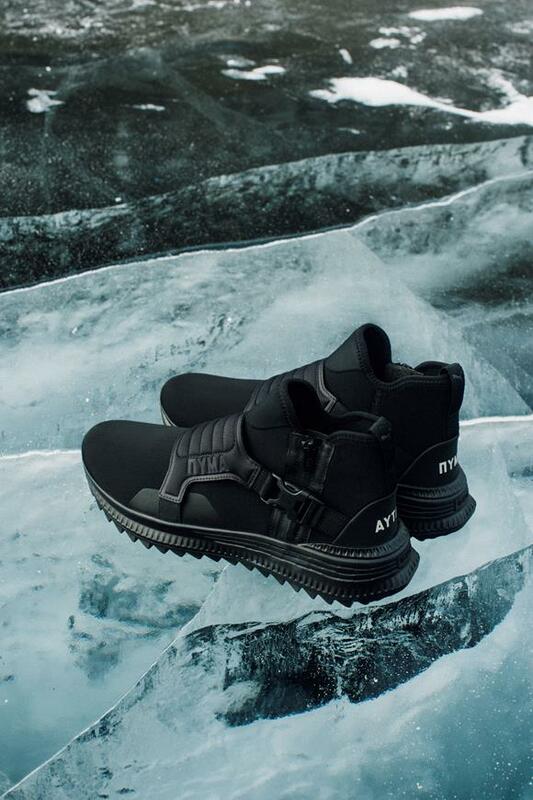 The PUMA x Outlaw Moscow | AYTΛO collection tells the story of the exploration and people self-liberation. 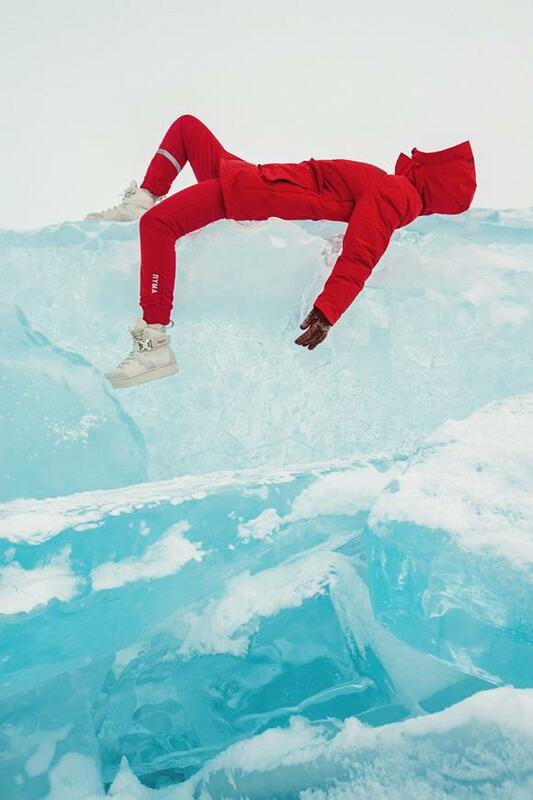 The strong message of the new generation of Russians that strive for peace and freedom is expressed by means of the collection itself and Puma x Outlaw fashion film. It was directed by the brand founders Dilyara Minrakhmanova and Maksim Bashkaev, the shootings took place all over Russia: from the ice frozen Baikal Lake in Siberia to 19-century Imperial palace and urban streets of Moscow. Featuring footwear, apparel and accessories, the styles implement urban military details with rugged textures and bold material blocking. 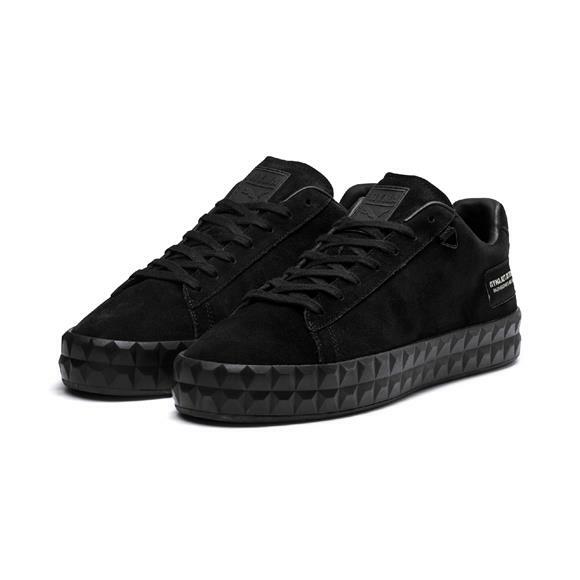 Adding a further twist to the collection’s urban vibe, it also features graphics of Moscow’s satellite pictures – emphasizing the brand’s roots while highlighting street and grime style influences. 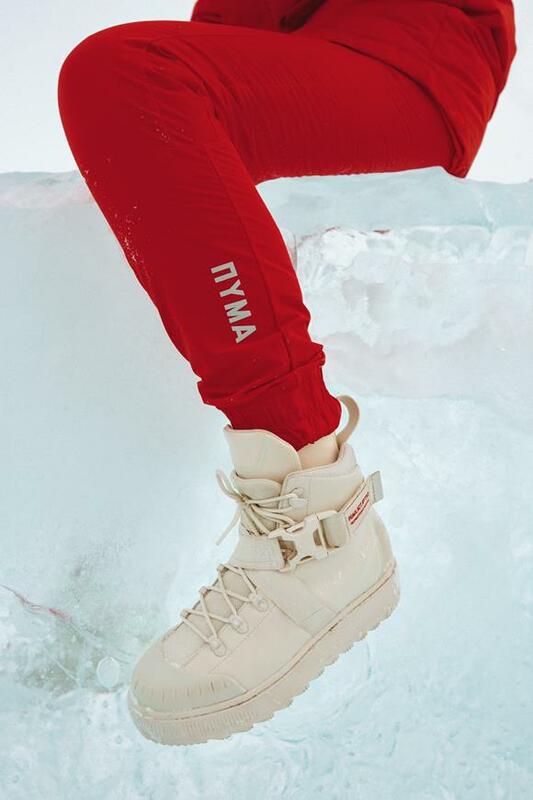 The distinctive Russian design elements from the first drop continue to feature across the collection: minimalistic branding where PUMA translated in Cyrillic – ПYMA alongside with Moscow famous logo AYTΛO – a phonetic transcription of “Outlaw” word in Cyrillic. 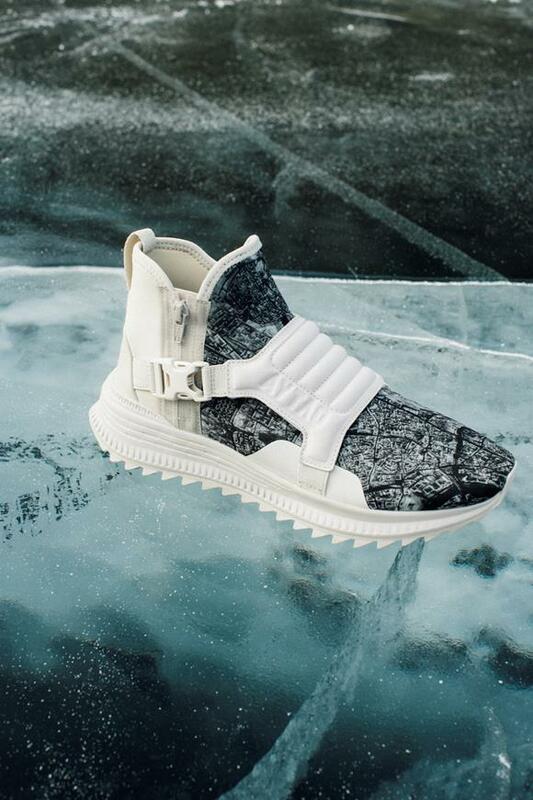 The footwear collection blends the best of functional and fashion-inspired silhouettes. Key styles from the range include the AVID Rugged Graph Outlaw, an elevated mid-cut boot with illustrations of Moscow’s satellite image. 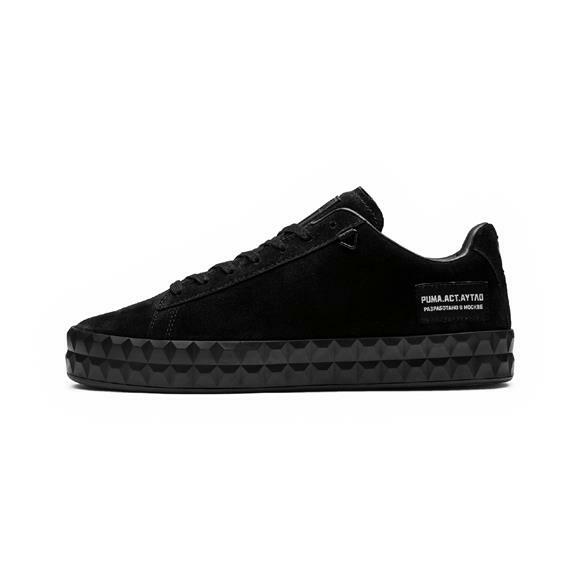 It is fitted with a neoprene upper, leather and rubberized overlays. 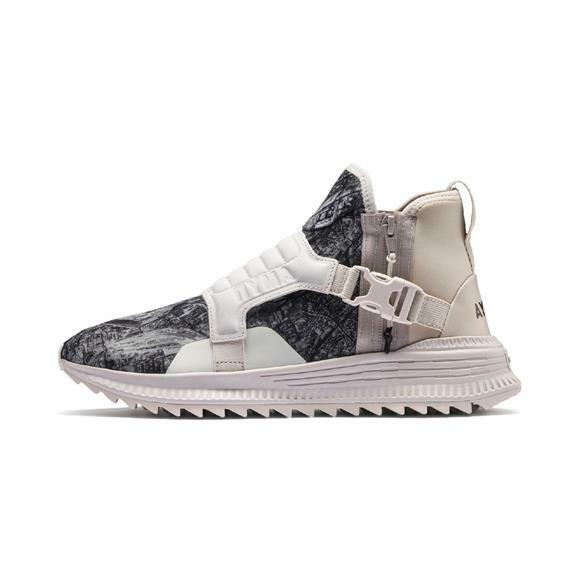 Channelling military vibes, these kicks feature large fore-foot harness’ with buckles and side zippers. The chunky midsole is built with IGNITE cushioning and an aggressive rugged rubber outsole. With a unique style of high-cut combat boots, the Ren Boot Outlaw further adds urban military definition with hardware details like reinforced TPU toe-cap, extended rear TPU piece with hiking eyelets and buckles. The apparel pieces are decked with padded inserts, all-over prints, bade application and woven premium fabrics. The PUMA x Outlaw Jacket is a military-inspired outerwear down-jacket with an all-over print of the Map of Moscow. The PUMA x O.MOSCOW Hoodie features an overlayed belt construction with raised eyelets for an authentic АУТЛО Look. “Made in Russia” Cyrillic text completes the style. 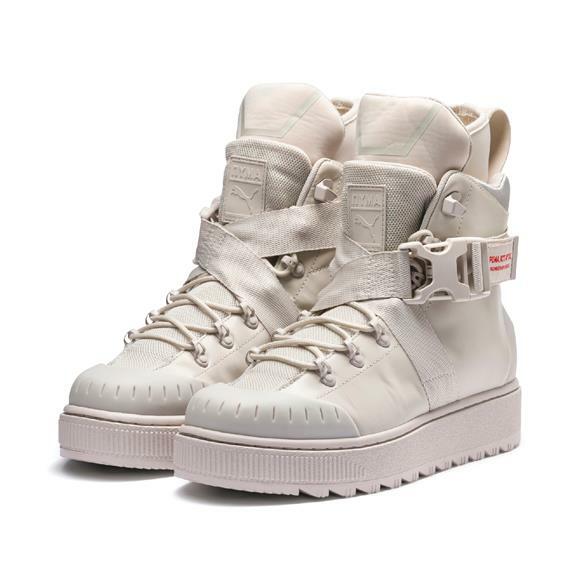 The second drop releases on October 26th exclusively with Ren Boots and PUMA x Outlaw Jacket with Moscow map print on Outlaw.ru. the whole collection releases on November 3rd on leading sneaker retailers, PUMA.com and PUMA stores worldwide. Follow @PUMASporstyle and @outlaw_moscow for more information.